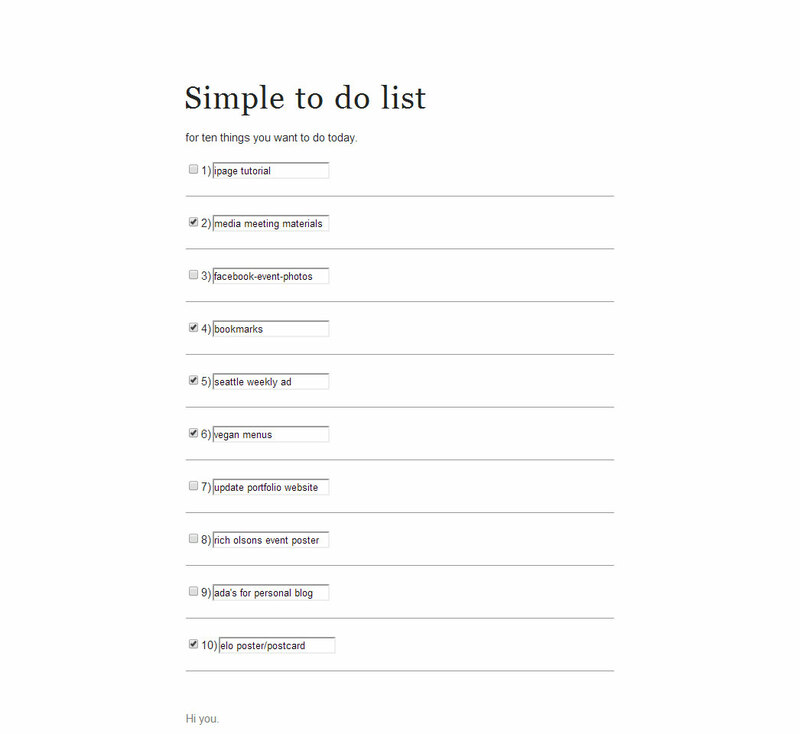 I’m working from home today and I wanted to have a simple to do list for display on my second monitor (I don’t have a great space for notebooks on my desk right now and I left my Personal Kanban board at work.) 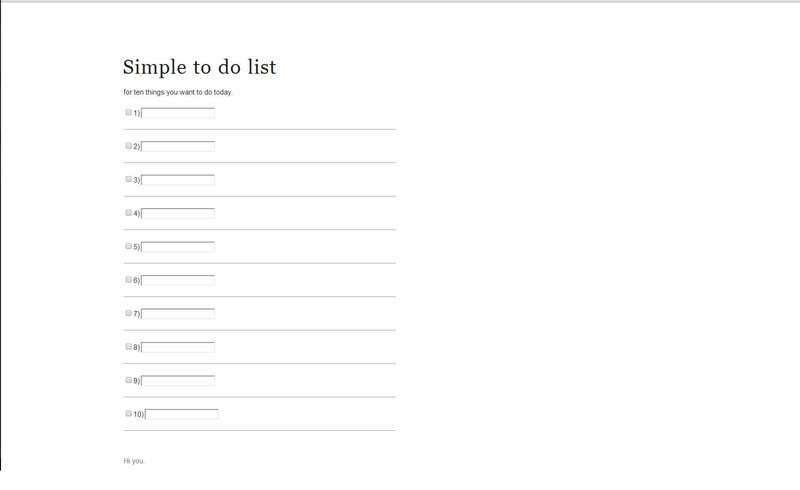 I googled “to do list website” and found apps, not a simple editable to do list for desktop in browser, so I whipped one up. Code from HTML Forms and Input and some variation of last year’s Amazium. Sometimes, your greatest tools aren’t all that complicated. My second round of ten things almost complete.